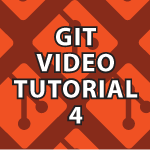 In this part of my git video tutorial I will answer a bunch of questions I have received. We’ll cover how to generate and use SSH keys locally as well as on GitHub. We’ll then look at how to set up multiple GitHub accounts on one computer. Through this you’ll easily be able to change accounts with one simple command. Then we’ll look at some examples on how the Fork & Pull workflow works on GitHub. A transcript / cheat sheet follows the video below. 1. Here I'll demonstrate a workflow option with git called Fork 7 Pull. I'll also answer some questions I've received like how to work with multiple GitHub accounts on the same computer. 2. SSH keys allow you to identify trusted computers without the need for passwords and here I'll show you how to generate multiple codes for multiple GitHub accounts. 4. A public key and a randomart image are generated. The randomart image is provided because it is easier to recognize then a random string of numbers. 21. We used a unique name for our keys so we have to tell ssh about them. 23. We are defining which account we want to work with by associating a keyword to our 2 different hosts. 48 - 53. I can change a file locally, stage and commit it. I can then push it to more Fork on GitHub. 55. If I think my changes should be merged with the original repository I can make a Pull Request. Click on Compare, review, create a pull request on GitHub. 56. Changes are listed as well as other data associated with your Forked version. Click the button labeled Create Pull Request if you think you're ready. 59. The owner of the original repository can see how many Pull Requests they have received on the right side of the screen. 60 - 63. They can go through the Pull Requests and decide what to do. 64 - 65. To merge click Merge Pull Request in GitHub and then leave a detailed explanation why it was done.